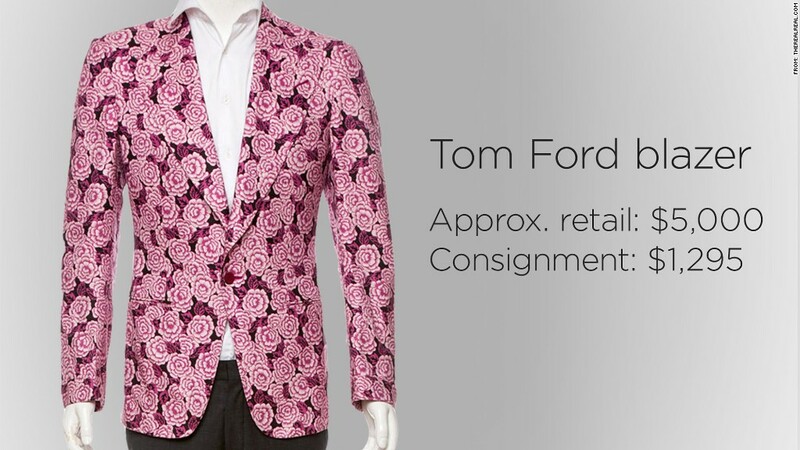 A men's silk blazer from Tom Ford, perfect for brisk summer nights, can retail for as much as $5,000. Get it from an online consignment shop, and the price plummets to $1,300. Consignment and resale shopping is a growing business, made even easier by new technology. "Everyone wants a deal," said Julie Wainwright, founder of The RealReal, an online consignment shop specializing in luxury goods. The RealReal has a new app that's like a Kelley Blue Book-type service for high-end products. Customers can shop from thousands of items, and can also use it to find the market value for a designer piece lurking in the back of their closet. Brands like Cartier, Chanel and David Yurman hold their value the longest, according to The RealReal, which sees David Yurman products snapped up for nearly half the retail price, and Hermès accessories for up to 30% off retail. The RealReal has several warehouses across the country, including this one in San Francisco. While the retail sector took a beating in the recession and has only just started to recover, the resale industry has grown in recent years. New stores have opened to keep up with the demand. According to the NARTS, a resale professionals association, enough shops have opened their doors to grow the industry by 7% over the last two years. There are about 18,000 used merchandise stores in the U.S., with a combined annual revenue of about $12 billion, according to First Research, a market analysis company. Overall retail sales only increased by 3.7% in 2013, according to the National Retail Federation. That's far below the potential for the resale industry, say reports from NARTS and eMarketer. Based on that data, online consignment shop thredUP said the resale sector will grow 16.4% through 2016. It's found that luxury brands like Theory and Diane von Furstenburg were the best to buy secondhand, raking in the largest number of dollars saved per item and the highest discount. Luxury brands proved to be so popular on thredUp that the company launched "X Collection" earlier this year, which offers designer pieces exclusively. Recent highlights included a Diane Von Furstenberg silk dress for about $200 (retail price $550) and a Gucci handbag for a little less than $400, a huge markdown from its retail price of $985. For those looking to sell luxury items, both TheRealReal and thredUp offer payouts between 60% and 80% of the sale price. "This means people can monetize what they have in their home," said Wainwright. Though secondhand selling might sound a little like eBay (EBAY), there's a difference. "[eBay] provides a valuable way to connect buyers and sellers, but they can't authenticate, and they can't ensure consumers are getting a good value," she said. The women behind the Women's Closet Exchange in St. Louis, Mo., recently parlayed their several decades of experience into a reality show called "Resale Royalty" on the Style Network. The exposure convinced the owners to launch a website last year, which has been "wildly successful," according to Laura Maurice, who owns the business with her mom and sister. 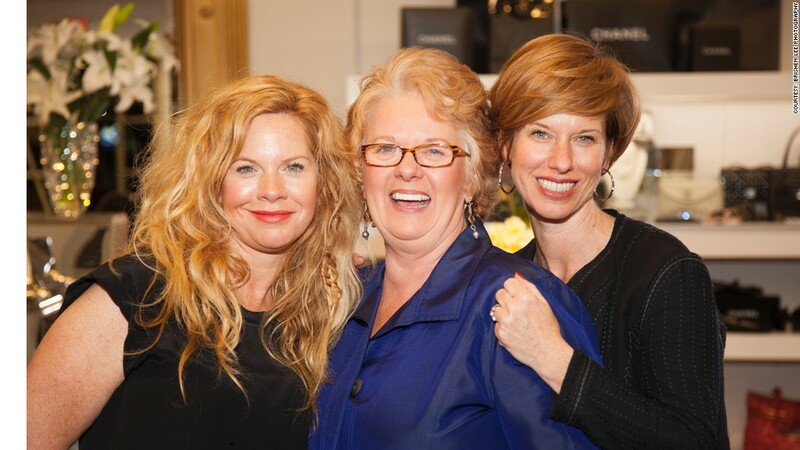 Laura Maurice, Sue McCarthy and Diana Ford make up the team behind designer resale shop Women's Closet Exchange in St. Louis, Mo. Brands in hot demand are Hermès, Chanel and Louis Vuitton. 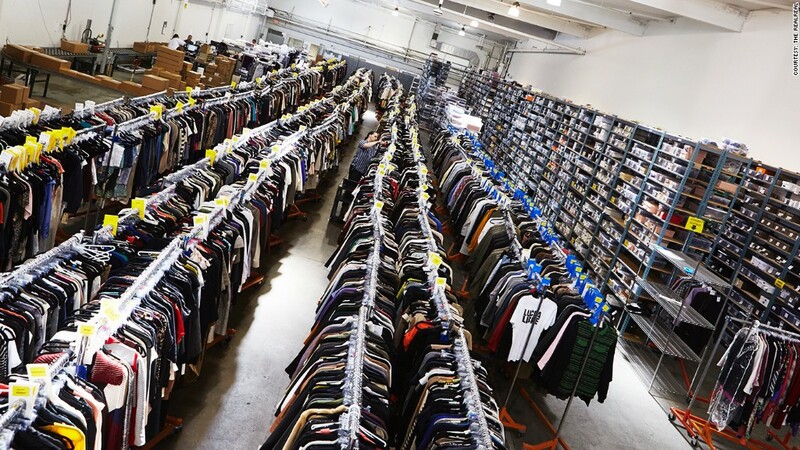 The company buys from 15,000 different suppliers, and sometimes just from people's closets. They mine everyone from "a soccer mom who's got some fabulous Lululemons," to "a celebrity stylist in Soho." The good deals for her turn into great deals for customers, and keeps luxury brands accessible. "We still sell $2,000 and $3,000 handbags even though they're gently used," Maurice said. She goes on buying trips to Los Angeles and New York, and "Resale Royalty" is currently being shopped around to other networks. "We've always thought we were bigger than just a resale shop," she said.